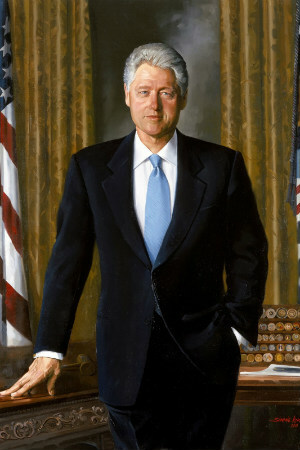 On January 25, Clinton announced the the First Lady, Hilary Clinton, will chair the Task Force on National Health Care Reform. On February 26, a terrorist bombing at the World Trade Center in New York killed six. On April 19, the siege at the Branch Davidian compound in Waco, Texas ended with over 75 deaths. On October 3, U.S. Special forces fighting in Mogadishu, Somalia attacked leaving eighteen service members dead. The U.S. stayed in Somalia until March 1994. On November 30, Clinton signed the Brady Act that required federal background checks on firearm purchases. On December 8, Clinton signed NAFTA, a trade agreement between the U.S., Canada, and Mexico. On December 21, Clinton issued the "Don't Ask, Don't Tell" policy that allowed for military service regardless of sexual orientation, as long as the orientation is not disclosed. On April 19, the federal building in Oklahoma City bombed by domestic terrorists killing 168. On August 7, two U.S. embassies in East Africa bombed killing over 200. On September 11, the Starr Report investigating allegations against Clinton released. On December 19, the House of Representatives approved two articles of impeachment against Clinton, one for perjury and the other for obstruction of justice. 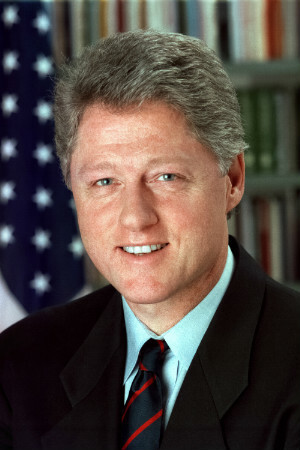 On February 12, the Senate acquitted Clinton of both articles of impeachment made against him by the House of Representatives. Clinton authorized American troops, but not ground troops, to take part in NATO air strikes against the Serbian government. Facts about Clintonand his presidency. 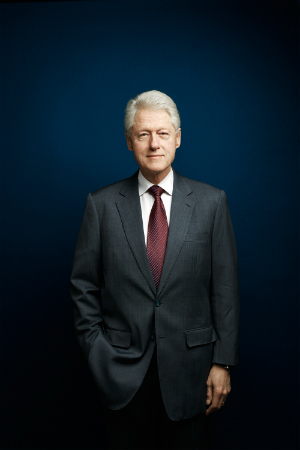 Information about Clinton's legacy, foundation and library. 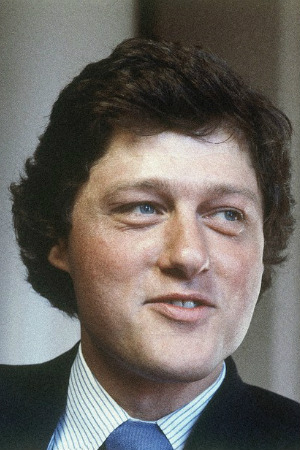 In-depth special from CNN.com discussing Clinton's future and a timeline of his eight year presidency. Located in Hope, Arkansas this is where Clinton grew up until the age of four. Information about the Clinton Presidency. Includes replicas of the Clinton Cabinet Room and Oval Office. They also have the best presidential gift shop. The first version of the official U.S. government White House website went online on Oct. 21, 1994. 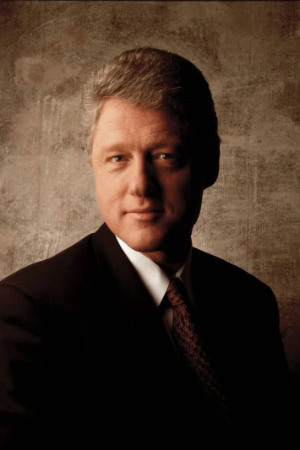 On November 16, 2000, President Clinton was the first president to visit Vietnam since the end of the Vietnam War. 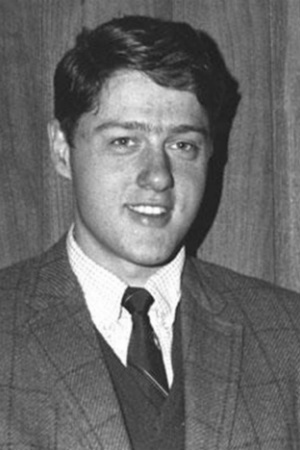 Clinton was only 32 years old when he was elected governor of Arkansas. Clinton's wife, Hillary, is the only First Lady to be a U.S. Senator, cabinet officer, and presidential candidate. Clinton is the only president who was a Rhodes Scholar. 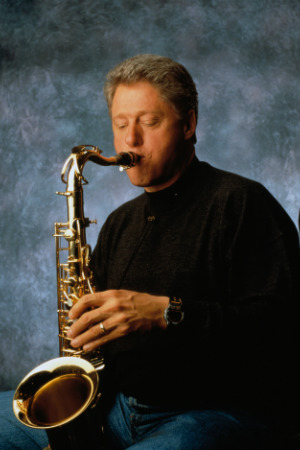 Clinton was the first president to win a Grammy Award. 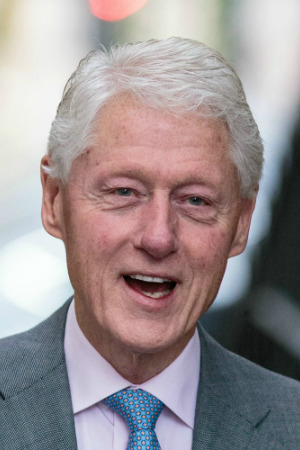 Clinton was the first president sued while in office. Paula Jones sued him for sexual harassment from his time before he became president.